MDC03, 2003 | Includes 26 tracks and forty minutes of music for the very young. 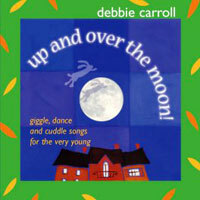 Songs and tunes are traditional and original, including themes such as animals, playtime, things in the house and the night-time sky. The CD comes with a booklet of lyrics and actions. Ken Whiteley, with his brilliant arrangements, immerses the collection in the influences of folk, gospel, blues, Cajun, olde-tyme, Celtic and world music. The result is a toe-tapping, sing-along, rockabye collection which is beautifully childlike, and which will be enjoyed by the very young and their grownups alike. 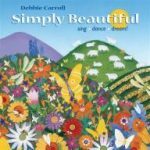 The recording features Debbie Carroll on vocals, Celtic harp, piano, and fretted dulcimer, along with musicians Kirk Elliott, Eve Goldberg, Ben Grossman, Jeff Morrison, Arnie Naiman, Kathy Reid-Naiman, Ernie Tollar and Ken Whiteley. Produced and arranged by Ken Whiteley. Executive producer Kathy Reid-Naiman, Merriweather Records Ltd.
Download the CD booklet containing lyrics and suggested actions (coming shortly). Can You Hop Like A Bunny?